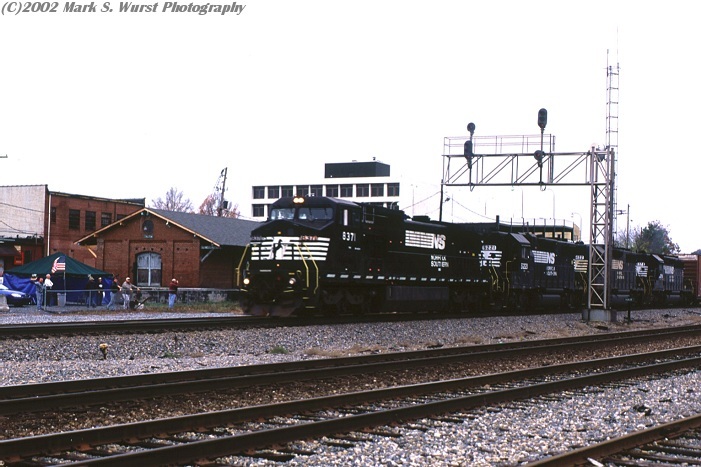 Here are some images that were taken during the Dalton Railfeast in November of 2002. 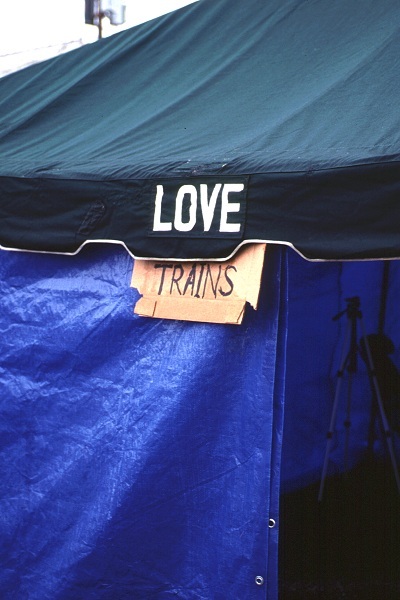 The weather was lousy, and the traffic level was rather low, but the variety of motive power and the good food kept the atmosphere alive. I apologize for the low clarity of the images - like a true idiot, I loaded slow speed Velvia (50 ASA) film into my camera during the overcast conditions! 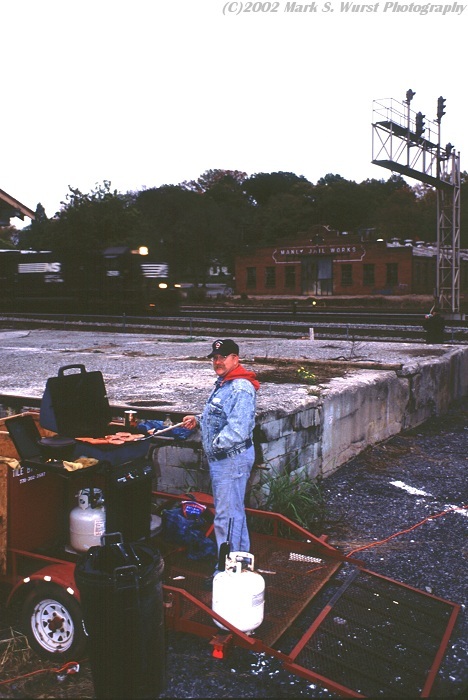 As a southbound NS train passes, "Fireman" Robert Duncan does some burger flipping. 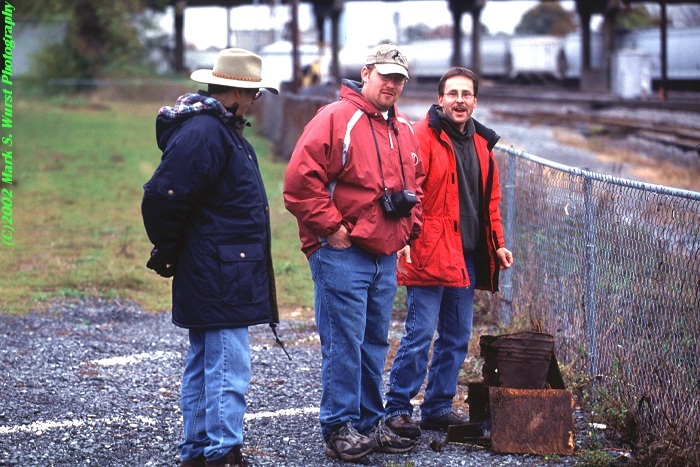 Woody "The Real Train Chaser" and company try to keep warm with a burn barrel that he created. 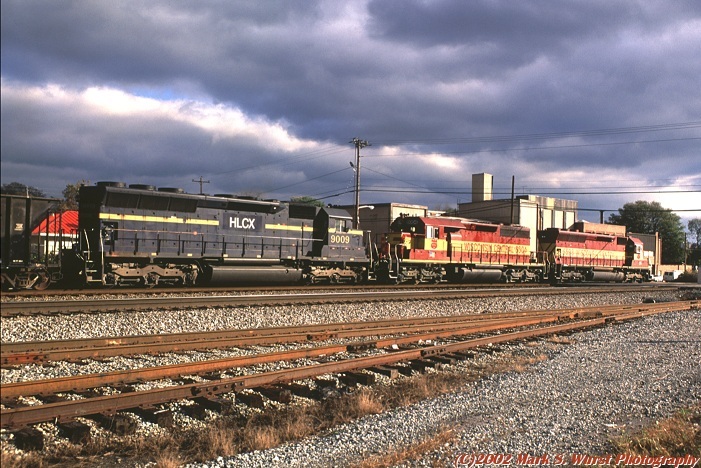 An ex-Conrail GE widecab (now black) and three EMD hi-hoods pass by the railfans gathered by the ex-Southern Railway station. 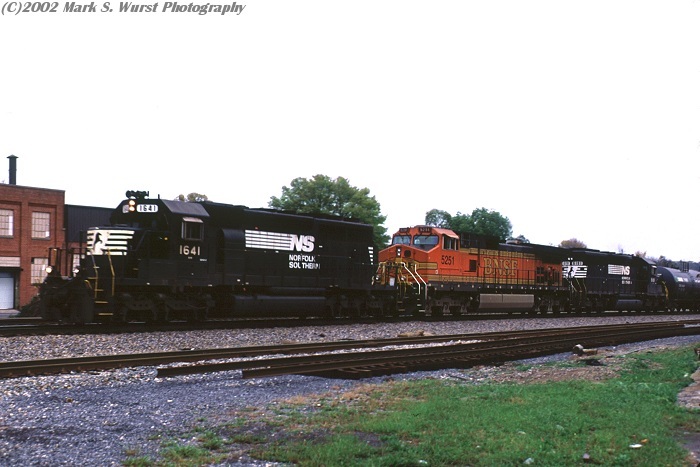 An NS northbound with a low-hood SD40-2 and a BNSF pumpkin slip by. 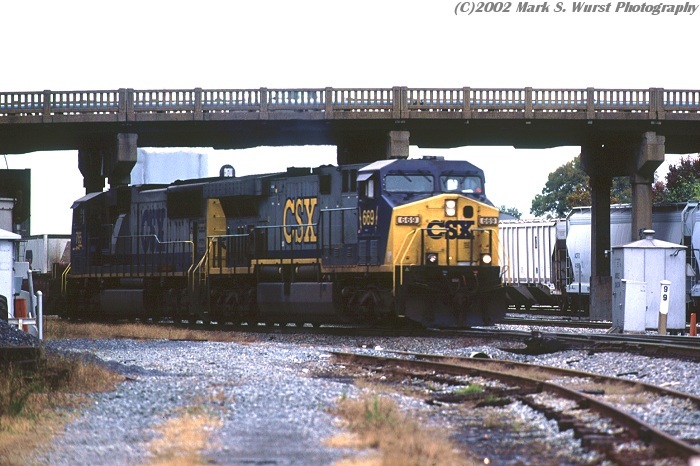 A CSX AC6000 and SD70MAC pass under the Gordon Street Bridge. 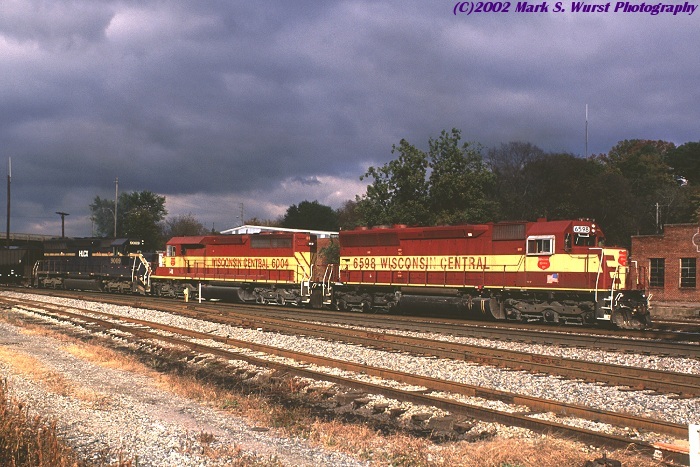 An empty NS hopper train, led by a Santa Fe "Warbonnet", heads back to the southern Virginia area to get reloaded. 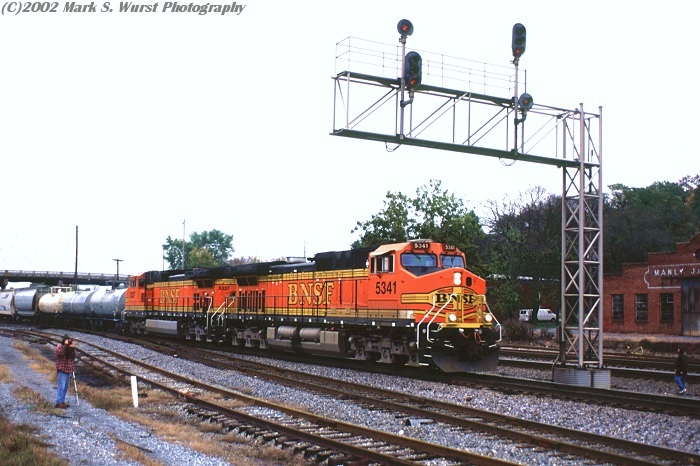 A pair of BNSF GE units on an NS train brighten up an otherwise dreary day. The grand finale for the weekend was sunlight appearing on a WC/CSX coke train, as it passed south through the downtown area. 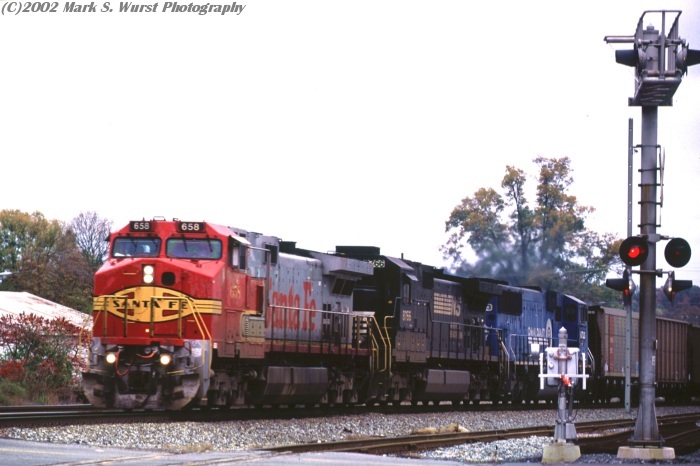 The Wisconsin Central SD45 and ex-Algoma Central SD40-2 lead a Helm unit that takes on the identity of both units in front of it - an SD40-2 rebuilt from an SD45!